From hay sheds to machinery sheds, storage sheds and barns, every shed in the Ranbuild Sydney rural range has been designed to give you great value plus the strongest, most reliable building possible. The galvanised steel framework provides strength and versatility while the flexibility in design to specifically suit the purpose provides economical application. Machinery Sheds – Our machinery sheds offer a functional, quality alternative to other building types and can be customised with options for roller doors, sliding doors, steel partition walls, windows, open or closed bays and skylights. Storage Sheds – purpose built, our storage sheds will provide long life protection no matter what the produce, size of coverage required or location. 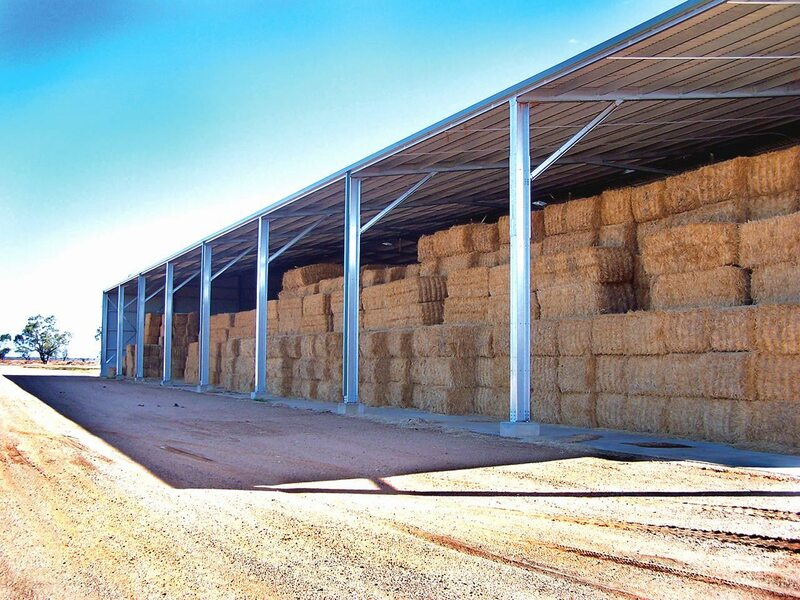 Hay sheds, grain or feed stores or other bulk storage can all benefit from our custom built designs. Rural Barns – our wide selection of high quality and flexible designs are available in both Australian and American Barn styles and offer mezzanine flooring for extra storage and space. 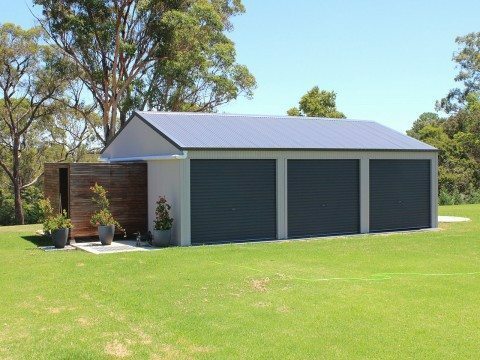 Skillion Roof sheds – our unique and very popular range of skillion or mono slope buildings are very popular due to their simple clean lines and cost effective approach to roof type.